I read this article and found it very interesting, thought it might be something for you. 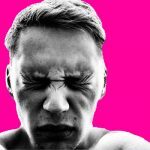 The article is called How Learning Economics Makes You Antisocial and is located at http://evonomics.com/how-learning-economics-make-you-antisocial/. Other studies have found economics students to exhibit a stronger tendency towards anti-social positions compared to their peers. For example, Carter and Irons had both economics students and non-economics students play the “ultimatum” game — a two-player game where one player is given a sum of money to divide between the two. The other player is then given a chance to accept or reject the offer; if she accepts it, then each player receives the portion of money proposed by the offerer. If she declines, then neither player gets any money. Carter and Irons found that, relative to non-economics students, economics students were much more likely to offer their partners small sums, and, thus, deviate from a “fair” 50/50 spilt. Finally, researchers had both economics and non-economics students fill out two “honesty surveys” — one at the start of the semester and one at the conclusion — regarding how likely they were to either report being undercharged for a purchase or return found money to its owner. The authors found that, after taking an economics class, students’ responses to the end-of-the-semester survey were more likely to reflect a decline in honest behavior than students who studied astronomy. Other studies supported these key findings. They found that economics students are less likely to consider a vendor who increases the price of bottled water on a hot day to be acting “unfairly.” Economics students who played a lottery game were willing to commit less of their potential winnings to fund a consolation prize for losers than were their peers. And such students were significantly more willing to accept bribes than other students. Moreover, economics students valued personal achievement and power more than their peers while attributing less importance to social justice and equality. The problem is not only that students are exposed to such views, but that there are no “balancing” courses taught in typical American colleges, in which a different view of economics is presented. Moreover, while practically all economic classes are taught in the “neoclassical” (libertarian, self centered) viewpoint, in classes by non-economists — e.g., in social philosophy, political science, and sociology — a thousand flowers bloom such that a great variety of approaches are advanced, thereby leaving students with a cacophony of conflicting pro-social views. What is needed is a systematic pro-social economics, that combines appreciation for the common good and for others as well as for the service of self. With permission from the author, originally published here. This entry was posted in Economics and tagged Morality. Bookmark the permalink. 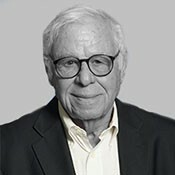 Amitai Etzioni is Professor of International Relations, George Washington University. He is the Director of the Institute for Communitarian Policy Studies. From 1987-1989, he served as the Thomas Henry Carroll Ford Foundation Professor at the Harvard Business School.